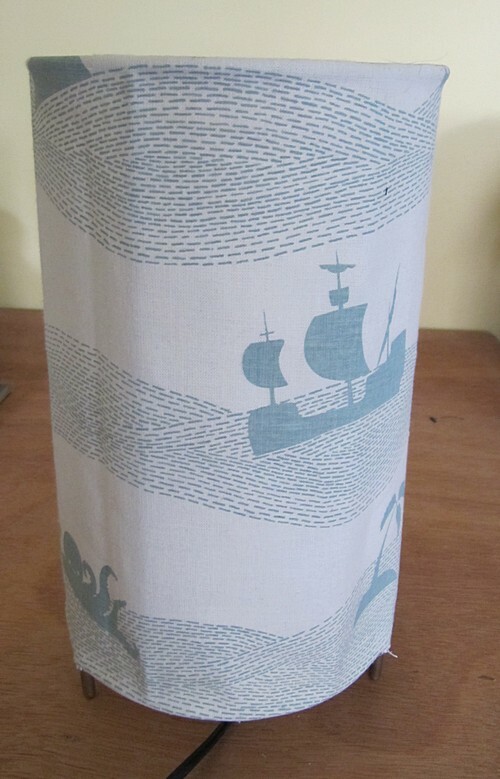 A few weeks ago Ink and Spindle posted about their new fabrics and suggested how great they’d be for a lamp in a kids room. I was completely taken with Pirates and Sea Creatures in Sage and had to agree. 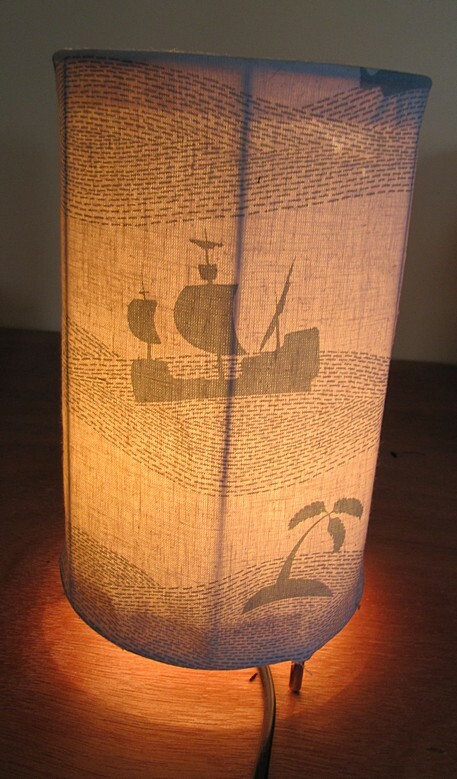 I’ve never done a lamp before and should have ironed the fabric first, but not to worry. I’m happy with it. 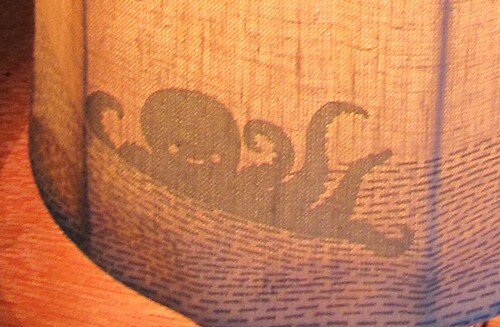 How cute is the octopus? Things have been a bit quiet here on the ‘getting crafty things done’ front. I’m in the midst of a huge clean-up to get ready for the baby and on top of that was struck down with gastro and are only just feeling myself again.There’s many baby room projects lurking in the wings though! this is so soft and divine – love it!